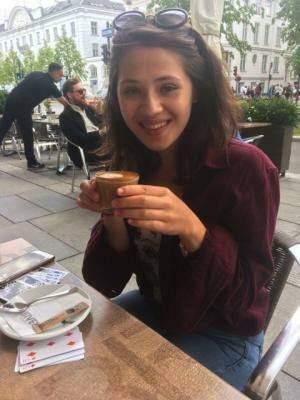 Kirsty completed her MPhys in Physics at the University of Manchester in 2018. Her first Masters project studied plastic scintillators for use in 3D particle dosimetry, and her second project investigated the surface magnetisation of magnetic thin films through the improvement of a longitudinal magneto-optic Kerr effect setup. She started her PhD under the supervision of Professor David Lidzey in 2018 and her work will focus on the fabrication of hybrid polariton microcavity lasers. In her spare time, Kirsty enjoys reading, cycling and coffee flavoured stouts.